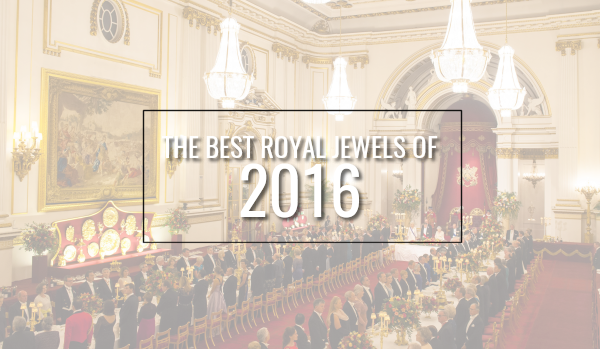 We've chosen the ten best royal jewel moments of 2016 -- here's our complete list! 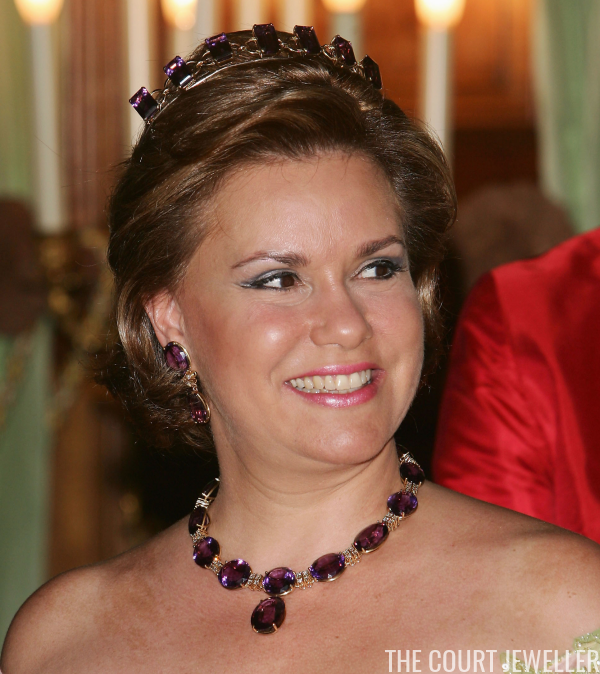 The year is 2002, and Máxima Zorreguieta Cerruti is preparing to marry the heir to the Dutch throne. 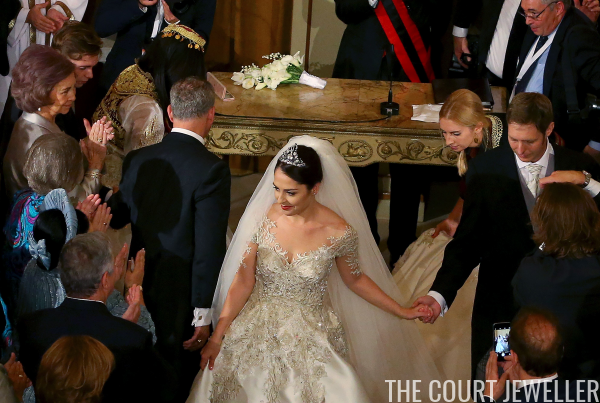 If you're a royal bride, you can play the wedding tiara game a few ways: you can opt for a safe choice (like the Duchess of Cambridge), you can wear an heirloom tiara (like Crown Princess Victoria of Sweden), you can go for no tiara at all (never something I'd personally advise), or you can go big. Máxima, being Máxima, went for major sparkle. We've made it, everyone: this is the top spot on our Best Jewels of 2016 countdown! (If you've missed any of the list, catch up over here!) Who will be the big winner...? 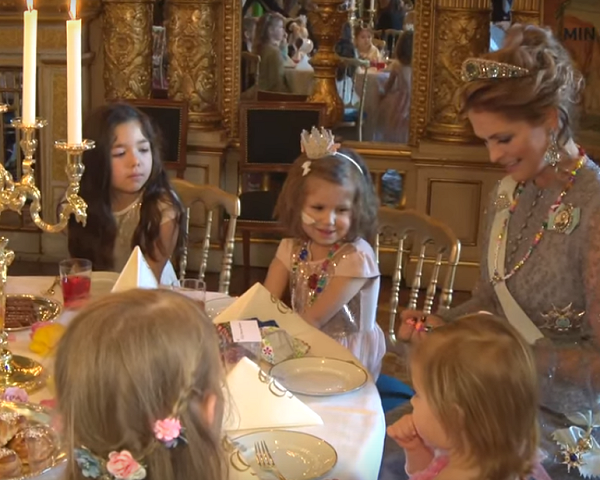 In February, Princess Madeleine of Sweden pulled off the very best bejeweled royal appearance of the year: attending a tea party for Swedish children dealing with medical issues, all while wearing full white-tie attire. The kids got a real-life princess in all her glory for this party! Crown Princess Mary of Denmark gave us one of the best gifts of all in 2016: a new tiara! 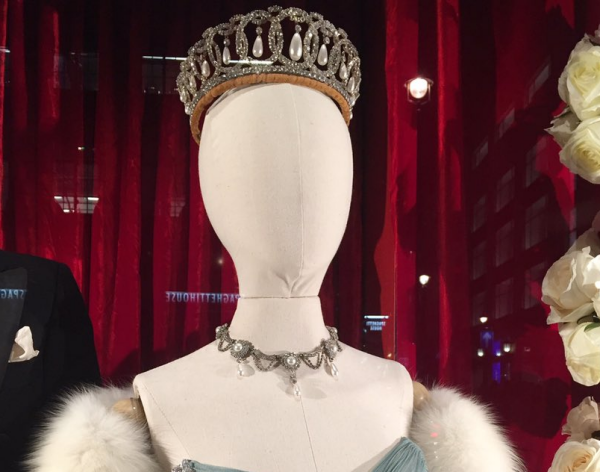 Technically, this is a piece we'd seen before -- she wore it as a necklace in public for the first time in 2015. 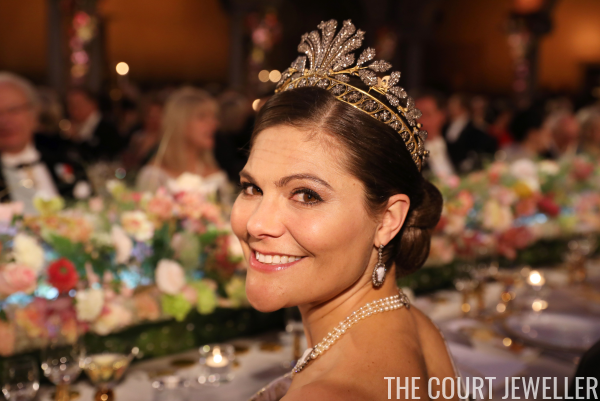 The annual Nobel Prize ceremony in Stockholm is always one of the most exciting events of the year for royal jewel lovers, and this year, Crown Princess Victoria of Sweden gave us a tour-de-force jewel performance. We're getting in to some really amazing jewels now! Our countdown continues with the fourth best bejeweled appearance of the year ... if you missed any of the previous posts, catch up here! 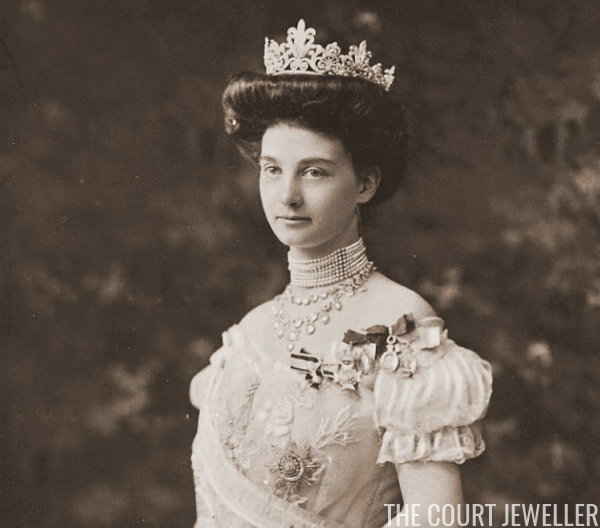 Our countdown of the best royal jewels of 2016 is at the halfway mark! Catch up on previous posts in the series over here! During a state visit to New Zealand in November, Queen Maxima of the Netherlands pulled out all of the sparkling stops for a state dinner in Wellington. For years, many of us had been hoping that the Duchess of Cambridge would begin wearing more pieces from the royal vaults. In 2016, we got our wish, thanks to a whole lot of jewelry loans from the Queen to Kate. 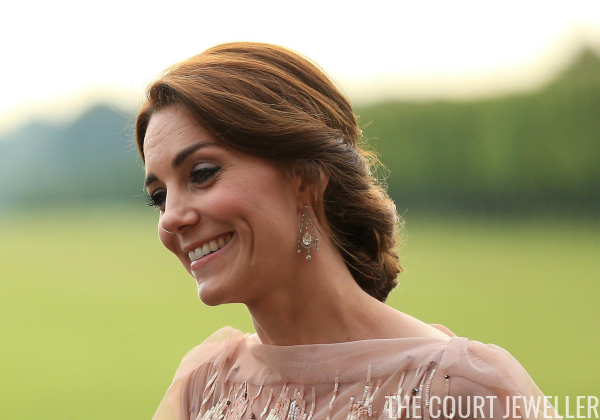 Above, she wears the diamond chandelier earrings that the Queen loaned to her shortly after her marriage for an EACH gala at Houghton Hall in June. When I make "best of" lists like this one, I often find myself drawn to pieces and appearances that were unexpected and surprising. 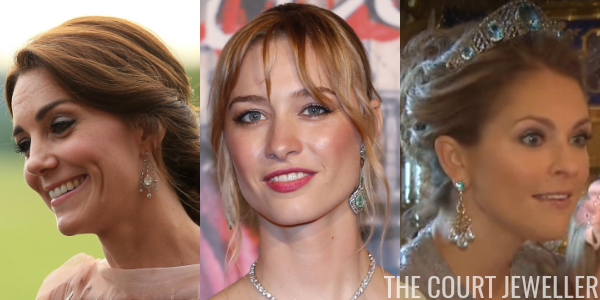 Beatrice Borromeo's jewels from this year's Rose Ball definitely fit that bill. 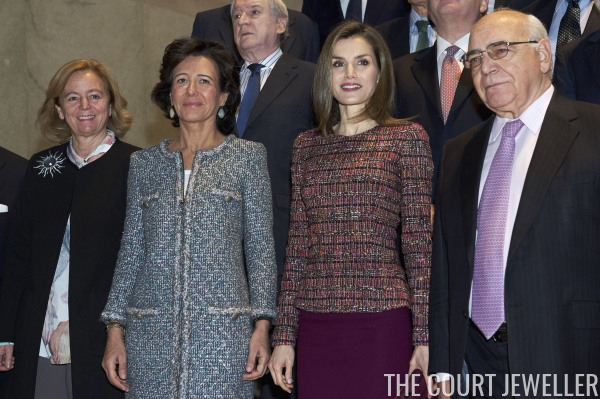 While so many members of Monaco's princely family stick with minimalist, modern jewels, Beatrice went in a completely different (and sparkling) direction this year. We're up to number eight in our year-end countdown! Catch up on numbers 9-10 over here! 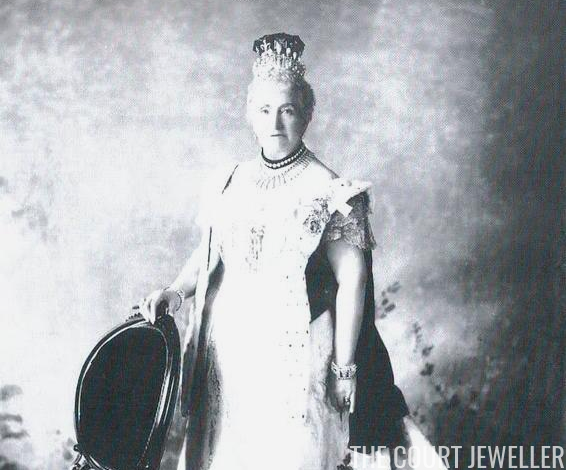 Until this March, Princess Astrid of Belgium had really only worn one major tiara in public: the Savoy-Aosta Tiara that comes from the collection of her mother-in-law. (More on that one here!) 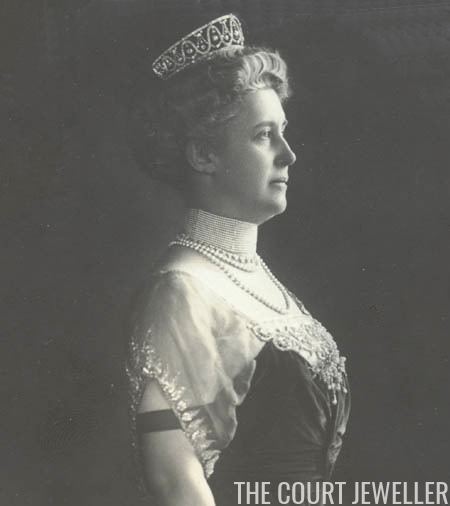 But for a state banquet for the President of Germany in March, Astrid wore a new tiara in public for the first time: her mother's Art Deco Bandeau. 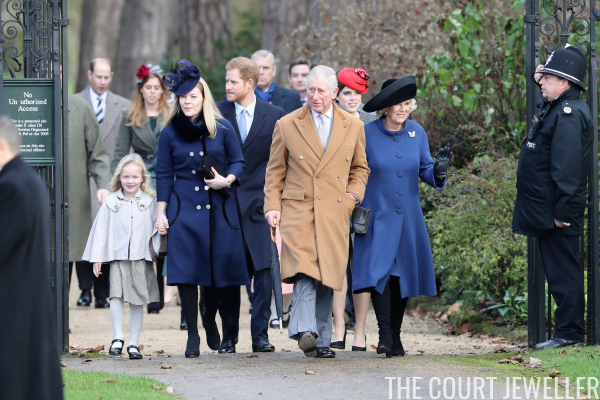 The Queen's under the weather and the Cambridges are in Berkshire, but that didn't stop the Windsors from bringing us a bit of Christmas sparkle this weekend. Here's a look at the jewels that the royal ladies wore for Christmas 2016. 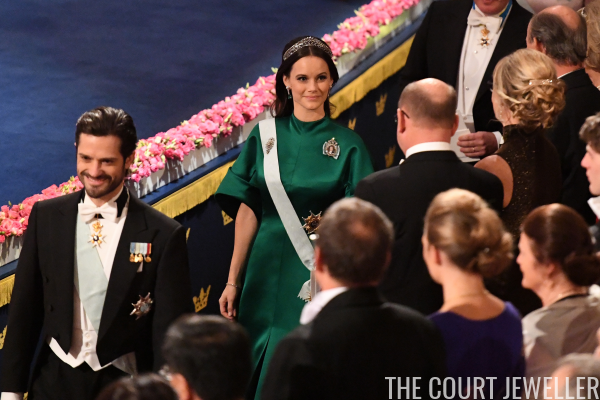 During her first year as a member of Sweden's royal family, Princess Sofia only wore one tiara in public: the Emerald Palmette Tiara that she received as a wedding gift from her new parents-in-law. 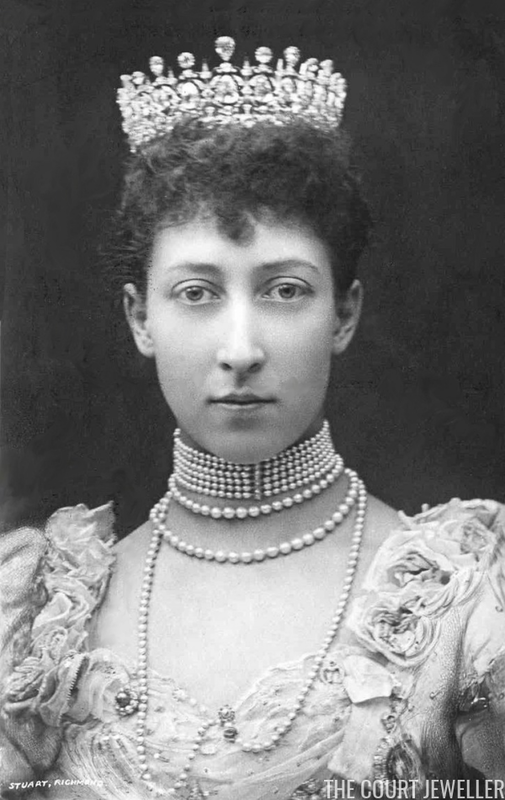 (More on the background of that tiara here!) But this December, she brought out not one but two new tiaras! Happy Holidays, everyone! I celebrate Christmas, so I'm taking today off. I've scheduled a Daily Diadem post for those looking for a little bling today, and then we'll be back tomorrow with our first yearly wrap-up posts. If we get good bling from Sandringham today, it will be up tomorrow as well! Hope that the day is a wonderful one for all of you! 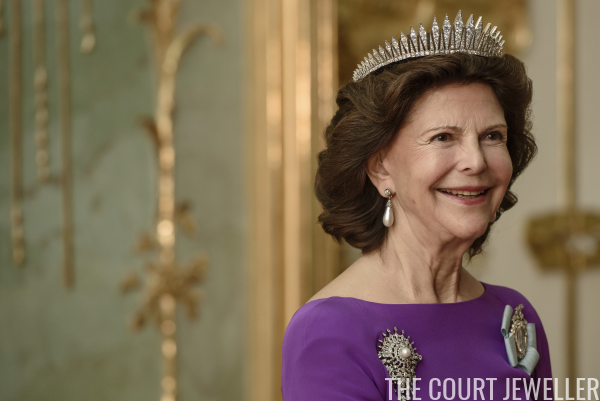 The Swedish royal vaults are fully stocked with every kind of tiara you could imagine, but today's tiara -- Queen Sofia's Tiara -- is one of the most divisive. 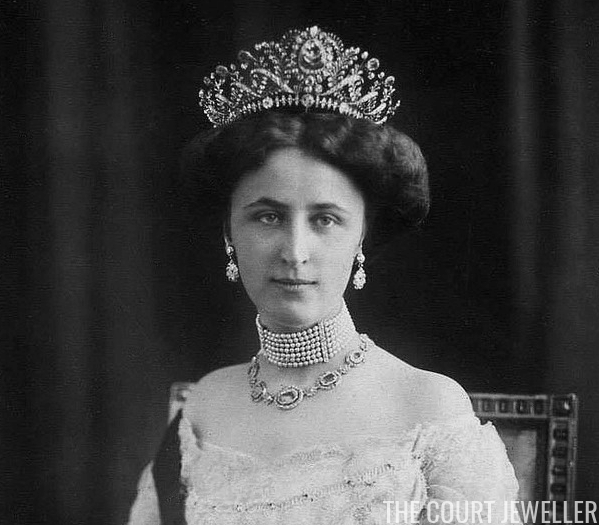 Whether you love it or hate it, let's have a look at the history of the tiara with a million nicknames! Can you believe it, everyone? It's time for our last regular weekly roundup of the year! We'll be delving into year-in-review posts next week -- but in the meantime, don't forget to vote for your favorites in the poll below! 10. Crown Princess Victoria and Prince Daniel of Sweden visited Italy this week. 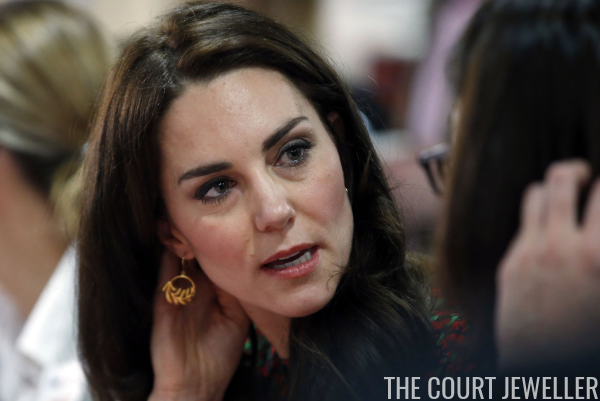 On Friday, she wore a pair of dark hoop earrings with a small round dangle for a party in Milan. I'm gearing up to write about the new miniseries about Queen Victoria when it airs here on PBS in January (all of you in Britain have already seen it, lucky ducks!). 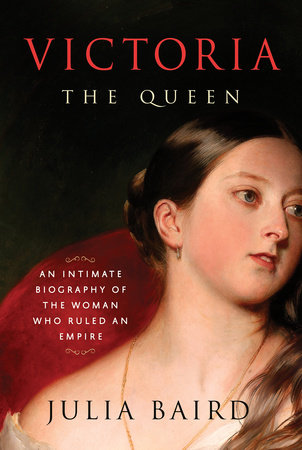 I've been doing my homework, and one of the books I've been enjoying most while brushing up is Julia Baird's new biography of Queen Victoria. We've spent a lot of time analyzing and assessing the jewelry shown on screen in Netflix's The Crown. 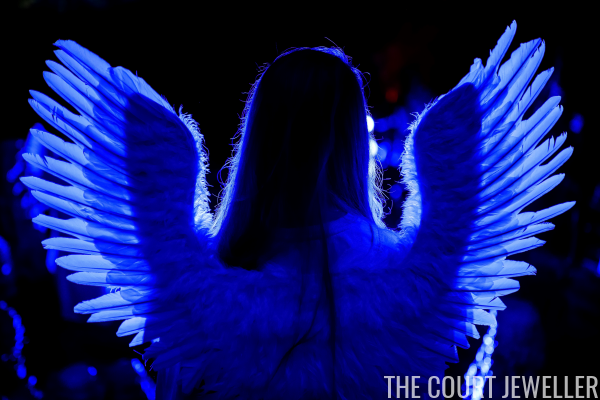 (If you missed any of our recaps, head over here to catch up!) But -- as it turns out -- there were jewels made for or rented by the production that never showed up on screen! A good friend of mine, the blogger behind The Lady and the Rose, recently visited the exhibition of costumes from the series at Liberty of London, and she's graciously allowed me to share a few photos with you. Get ready for a couple of jewelry head-scratchers! 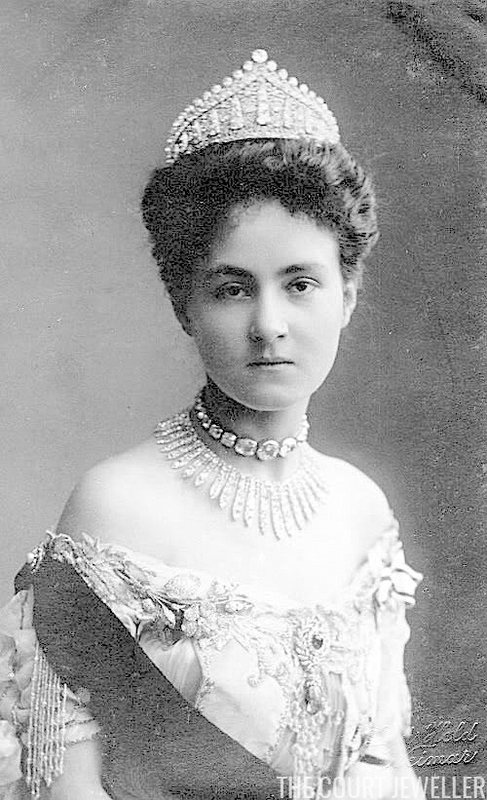 "Three Royal Widows at Christmas"
Two dowager queens and one dowager empress of Europe, the widows of the former kings of England and Denmark and an emperor of Russia, are to spend the Christmas holidays together in England. 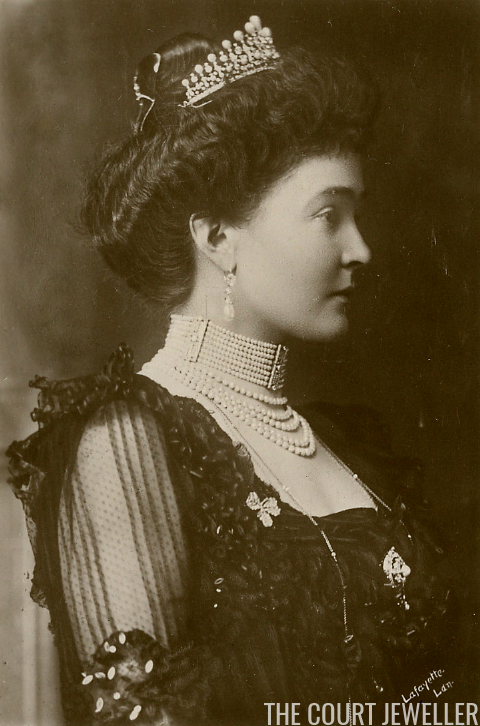 The parure of cameo jewelry that now belongs to the Swedish royal family is one of the most unique and interesting sets worn by royals today. 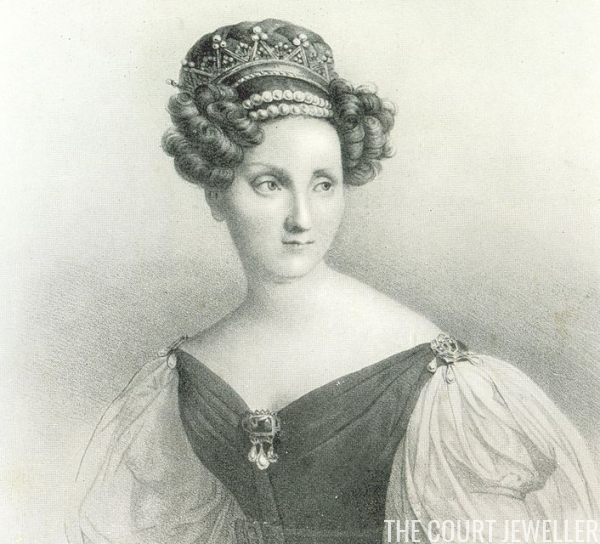 The cameo suite was made in France during the first decade of the nineteenth century; researchers have argued very convincingly that the parure was owned and worn by Empress Josephine, first wife of Napoleon Bonaparte. 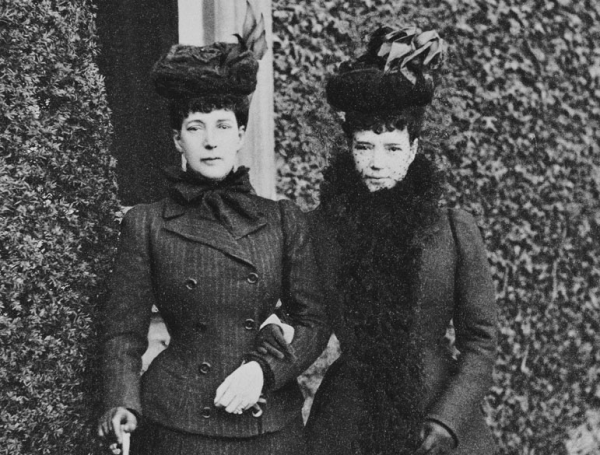 Today, the cameos belong to the Bernadottes of Sweden, who inherited them via the Duke of Leuchtenberg. 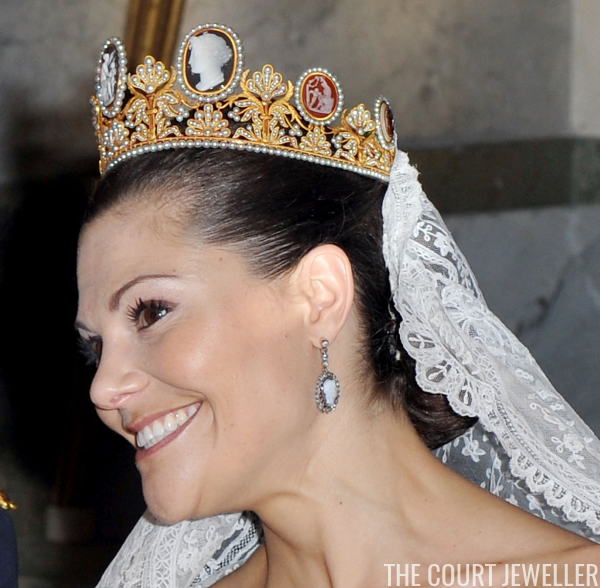 The tiara has become something of an unofficial bridal diadem for the Swedish royal women. (You can read a more complete timeline of the set's history here.) The central cameo in the tiara depicts a scene from the myth of Cupid and Psyche, but each cameo is unique. Here's a series of images that give us a close-up look at the set, which is made of cameos, gold, diamonds, and pearls. 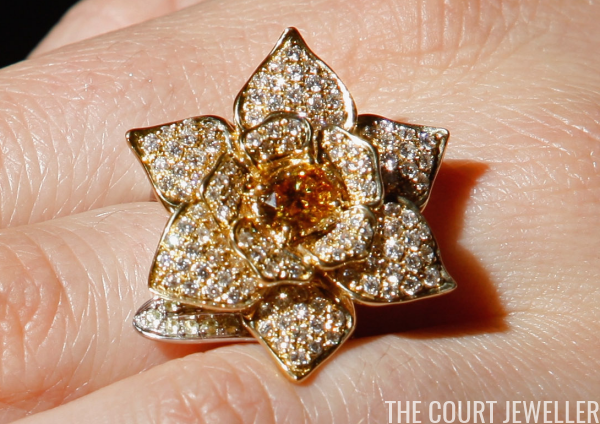 In 2008, a special ring was offered for sale by Sotheby's: a diamond and peridot cocktail ring shaped like a daffodil. The piece had been specially created to raise money for a very important cause: care for those with terminal illnesses. Some tiaras are made of gold, some of silver, some of platinum. But regardless of the material, they all generally have one thing in common: they're set with sparkling precious gems. 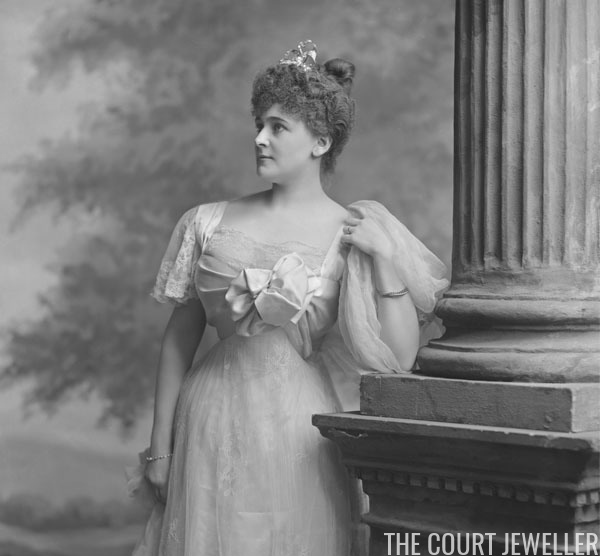 Today's tiara, however, is a horse of a different color: a tiara made of a different metal -- steel, to be precise -- that has not a single gem set in its frame. And yet, thanks to its innovative design, it manages to sparkle with the best of them. 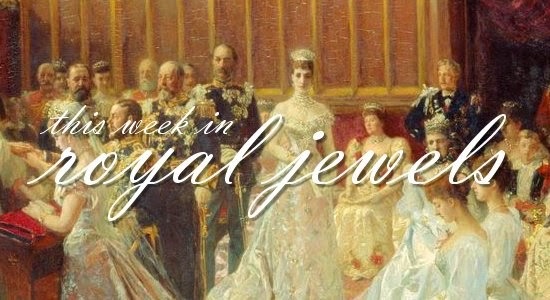 Here's our roundup of the best royal jewels that weren't worn for Nobel gala events this week! Be sure to vote for your favorites in the poll below! 10. 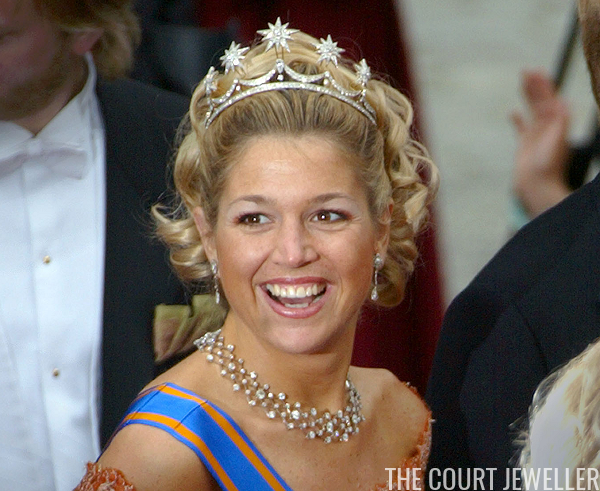 Queen Maxima of the Netherlands wore earrings by Natan to coordinate with her dress on Thursday for the awarding of the Prince Claus Prize in Amsterdam; she also accessorized with her diamond initial bracelet and her diamond and citrine ring. 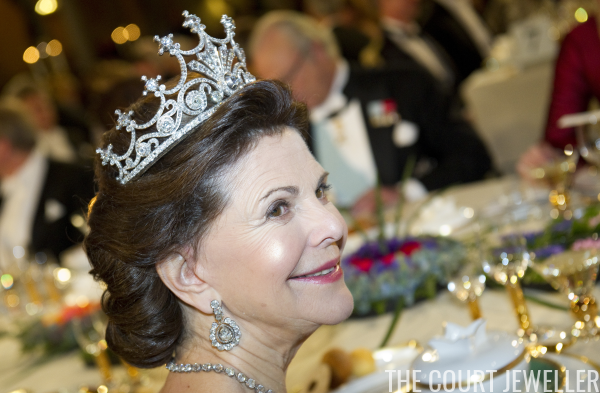 It's really massively unfair to make any other jewelry compete with the royal glitter in Scandinavia during the Nobel gala celebrations, so we've got a separate roundup just for them this week! (The regular jewelry roundup will be up in a few hours, so stay tuned.) Don't forget to vote in our special poll! 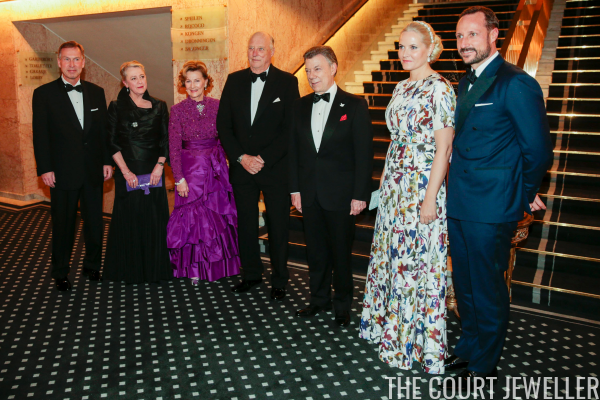 Yesterday, Prince Albert and Princess Charlene of Monaco attended the annual Children's Christmas Party at the Palais Princier -- and brought along two special guests.